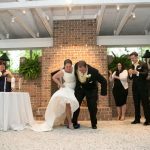 Here is a sample of testimonials from couples whose weddings I performed in Savannah, Tybee Island, and elsewhere in Georgia & South Carolina. I loved working with all of them. These are just a small sample of reviews I have received on reliable, third-party review sites. You can read more on WeddingWire, The Knot, or Google My Business (search for our business name on Google and our listing will appear). She was absolutely AMAZING to work with. 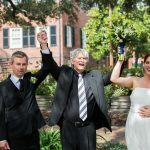 My husband and I decided to elope to Savannah with our two closest friends. We are from Burlington, VT, so we really had to put a huge amount of trust into Tracy. She was absolutely AMAZING to work with. She checked in with us every so often to let us know where in the process she was, sent out a questionnaire to help learn a little more about us personally, including asking which songs to listen to while she wrote our ceremony, and the type of ceremony we wanted to have. She wrote the most perfect ceremony for us. 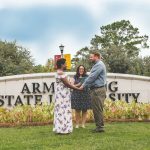 We were thrilled with every aspect, from helping us to choose the park we were married in, how easy it was to communicate with her, the cost of the whole package, the ceremony, and with Tracy delivering our marriage license for us and then mailing it back to us. Tracy was extremely professional, organized, and resourceful. 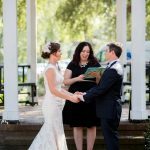 My husband and I eloped to Savannah and Tracy made our special day so wonderful and stress-free! Tracy was extremely professional, organized, and resourceful. She did a phenomenal job planning, preparing for, and officiating our ceremony. 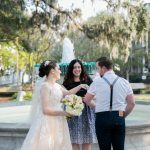 We were able to make the most of our time in gorgeous Savannah while enjoying every minute of our elopement. 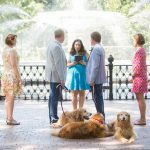 We even shared wedding cupcakes and a champagne toast in Forsyth Park! It was absolutely perfect and Megan Jones, our photographer who works with Tracy, did an amazing job with our photos. We had a lot of fun taking our newlywed walk throughout beautiful squares and striking a pose after our ceremony. Tracy ensured that we received our marriage certificate within just a few days, and those working at the court house spoke very highly of her (I didn't even have a chance to get her last name out, they knew exactly whom I was talking about!). 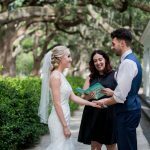 We highly recommend Tracy and eloping in Savannah! 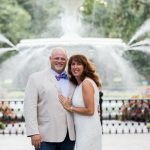 Anyone looking for an elopement or destination wedding in Savannah should definitely try to book with Tracy! Tracy was a breeze to work with and all smiles! She was quick to respond to any questions and went out of her way to accommodate us. The ceremony was quick and sweet. Perfectly suited what we had hoped for. 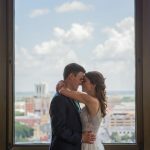 Anyone looking for an elopement or destination wedding in Savannah should definitely try to book with Tracy! We would highly recommend using her services to anyone wanting to experience a wedding/elopement in Savannah or its surrounding areas. 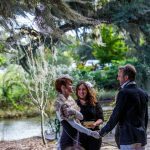 We used Tracy Brisson's Savannah Custom Weddings and Elopements for our 25th wedding anniversary vow renewal ceremony and it was a beautiful experience! Tracy was very easy to work with and the photographer that she utilizes is wonderful as well with a great eye. We would highly recommend using her services to anyone wanting to experience a wedding/elopement in Savannah or its surrounding areas. 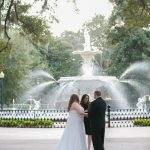 Tracy created beautiful vows for our ceremony and we had our ceremony in front of the fountain in Forsyth Park. And it was a very easy event to plan thanks to Tracy's attentiveness and communication with us even across state lines as we live in Florida. Our pictures remind us everyday of how lucky we were to have stumbled upon her ad! Planning a wedding in a city I've never visited was a little worrisome. However, Tracy made it so easy. It started raining and Tracy had a plan "B". She arranged an UBER and we shuttled over to a gazebo in a beautiful square and everything worked out great!! The ceremony was lovely and our pictures remind us everyday of how lucky we were to have stumbled upon her ad! We highly recommend to all our friends to get married or even renew their vows in Savannah with Tracy !! We couldn’t have asked for a better ceremony! 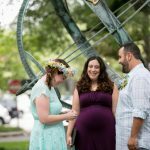 Tracy officiated our elopement in July and it was the BEST decision ever! She was amazing from the first email and answered all of my questions. We planned everything two weeks out and she still made everything so personal and perfect. We couldn't have asked for a better ceremony! Thanks so much!! Tracy’s passion for what she does shows through her work. Hands down, Tracy Brisson of Savannah Custom Weddings and Elopements was without a doubt perfection! Tracy's passion for what she does shows through her work. She makes sure that your special day is just that and makes it your own, customized to your liking. Her response time was on the spot. Her performance was impeccable. I recommend her work to anyone that asks! Tracy is fabulous!! She is so professional and yet easy going. Tracy is fabulous!! She is so professional and yet easy going. Made everything so easy and stress free for us. We had a small ceremony with ten people in Pulaski Square the day after St. Patrick's Day. All we had to do was show up and Tracy did the rest! Wonderful person and we were lucky to find her!! Professional and genuine all the way. Tracy was so kind and compassionate. She is well organized and routinely sent updates and reminders. When we suddenly had a family illness to contend with, she was more than flexible, making changes at our request at all hours and up to the last minute. Professional and genuine all the way, keeping us on our toes and facilitating a ceremony we will treasure in our hearts forever. Highly recommend! Everything was easy, everything was taken care of, and I couldn’t have asked for a better wedding day. My husband and I were married by Tracy in November and it couldn't have been more perfect. We selected one of the elopement packages with the photography and After the ceremony, Tracy took time out of her schedule to help us with the photos and my dress. This was extremely kind and helpful because I am currently 27 weeks pregnant. Tracy also was understanding of our secular ceremony wishes, and wrote a wonderful ceremony for us that was very fitting for our relationship! Lastly, we forgot our marriage license in the hotel room on the day of the wedding, and Tracy was kind enough to meet us the next day at a coffee house for the paperwork. Everything was easy, everything was taken care of, and I couldn't have asked for a better wedding day. More people should elope...it really is a wonderful and relaxed experience with someone like Tracy! Thank you again! Savannah Custom Weddings and Elopements was an absolute dream to work with when planning my wedding in Savannah from out of town! Savannah Custom Weddings and Elopements was an absolute dream to work with when planning my wedding in Savannah from out of town! It was a short timeframe from when I began emailing to actual wedding. Tracy was extremely prompt in response and information. The price you pay for the service of this company does not even begin to touch their value!! There was no stress during my husband and I’s big day and I attribute that to the hard work of Tracy and Megan! 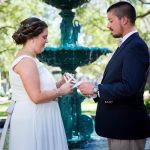 My ceremony took place in Forsyth park and a children’s book festival was taking place where we originally planned to wed, but Megan found a beautiful spot in the park for our nuptials and all was perfect! The memories and pictures are still breathtaking to me almost a year later! I cannot imagine our wedding taking place anyplace else or with any other people! My whole family still rants and raves about how great Tracy and Megan were and how perfect that day was! Forever grateful for you!! 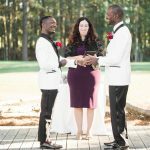 If you’re thinking of booking Tracy for your officiant, do it! You won’t regret it! My now husband (still getting used to that) and I were married by Tracy on June 30, 2016 in Troup Square. We are from the Seattle area so planning and booking stuff from across the country was a little scary. However, Tracy answered any questions we had and made everything so simple and stress free. She showed up early at the square for our elopement and was so sweet and very professional. She even filed our license for us since we were leaving town the next morning which was awesome! Another thing to love about her is her pricing is very transparent which we all can appreciate. The package we booked included photography from Megan Jones, who I also highly recommend. 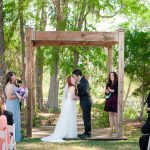 If you're thinking of booking Tracy for your officiant, do it! You won't regret it! Tracy married us on Monday, June 29, 2015 in the most beautiful ceremony. She made herself available, at no charge, to us and anyone else who wanted to marry that day. This was a different kind of Monday, because the Supreme Court of the United States had made it legal for the rest of us just three days earlier, Friday, June 26th. Without Tracy's generosity of spirit, love and inclusiveness we wouldn't have been able to have the day we had, on the day we had it. She's as genuine and loving person as I've ever had the pleasure to meet, and she is now and forever a part of our story, our lives. Without Tracy's generosity of spirit, love and inclusiveness we wouldn't have been able to have the day we had, on the day we had it. She's as genuine and loving person as I've ever had the pleasure to meet, and she is now and forever a part of our story, our lives. 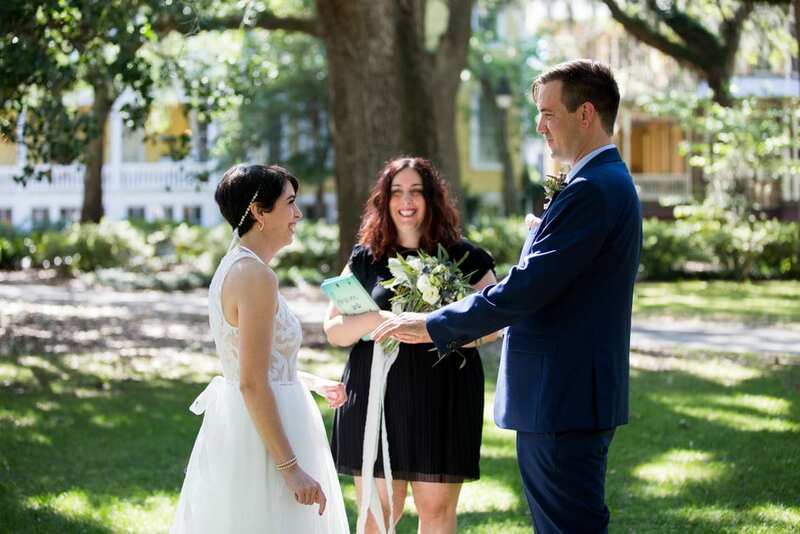 We thought your words and your officiating at our wedding went perfectly and fit my original reasons for choosing you among the many possible officiants in Savannah. Marie and I want to thank you for a wonderful wedding experience! 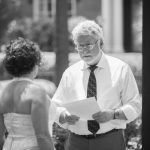 We thought your words and your officiating at our wedding went perfectly and fit my original reasons for choosing you among the many possible officiants in Savannah. Thank you for helping make this a memorable week for us in Savannah and helping us exceed our dreams in what we wanted for our wedding experience. My fiancé and I loved working with Tracy. Our ceremony was perfect!!! Exactly what we had envisioned. My fiancé and I loved working with Tracy. She helped us create the most sentimental ceremony that was absolutely amazing for both of us. I highly recommend her for any wedding officiating services you may need! She went out of her way to watch a movie to work a quote into our ceremony. Tracy was great because she personalizes every ceremony to fit the actual couple. She went out of her way to watch a movie she never watched to work a movie quote into our ceremony. We really enjoyed working with her and were really amazed on how everything worked out so smooth because we had only met her once via Skype and she drove an hour and fifteen minutes to do our ceremony. We were so pleased!! Tracy was amazing! She crafted a wonderful ceremony and made our day so incredibly special. Thank you so much Tracy and Savannah Custom Weddings & Elopements! Tracy created a ceremony for us was something better than we could have imagined. Tracy was seriously the best. I first found her when my now-husband and I were looking into having just a simple civil ceremony. All of her packages were very affordable, and staying in budget was super important to us. We ended up going with her All-In package (after deciding to have a wedding with all of our family and friends), and we definitely got our money's worth! From our two consultations, Tracy created a ceremony for us was something better than we could have imagined. She took charge at the rehearsal too, which helped me out for sure! We could have been happier with using Tracy as our officiant! we were able to meet with Tracy and talk over how we might like our ceremony. 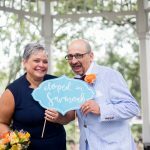 My husband and I choose Tracy as our officiant for our small destination wedding, and she was above what I expected. 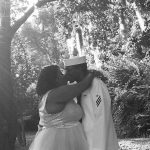 We travelled to Savannah for a planning weekend and we were able to meet with Tracy and talk over how we might like our ceremony. She created a ceremony that was very true to my husband and I which made it all the more special. I really appreciated her policy that she sends over the ceremony outline a couple of days before the wedding so that you can look it over and make sure it's exactly what you are looking for. We also choose her extra service of having her submit our marriage license to court house and having it express shipped back to our house. That took the worry off my mind of having to file it ourselves, since we are not from the area and were leaving town the morning after the wedding. If we were to do it all again I would definitely choose Tracy again! Tracy was extremely friendly, fun, & attentive. Tracy was extremely friendly, fun, & attentive and helped to make our special day one to remember. Tracy is Highly recommended by us for anyone planning to tie the knot. Thank so much Tracy! Tracy was so personal, professional and just all around fun! Tracy was so personal, professional and just all around fun! 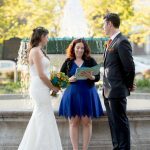 We personally chose Tracy to be our officiant because of her diversity, affordability and frankly, previous reviews. When we got to her chapel, we soon realized it was right below our old apartment where we shared many beautiful memories and where we got engaged! It was very special and personal from moment one. Not to mention, she was so flexible with location, since we had to change 2 days before the wedding due to Hurricane Matthew. She asked all the right questions when getting to know us and even added a cute dog poem that was about love, since our dogs were in the ceremony. She was such a great addition to our wedding. I couldn’t have imagined a better officiant for everything we wanted. 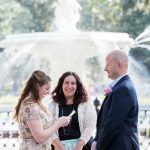 Tracy officiated our wedding in June and we were so happy with everything she did. She provided many different options for different kinds of services we could have and, after we chose the one we wanted, she made sure it was special to our experiences and unique to our relationship. 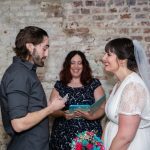 She helped us write our own vows, which we weren't even sure if we wanted to do (though, she did have ones pre-created, too) and helped us add touches of our own to every aspect of everything she said and we said. After the ceremony was over, she sent in all of our paperwork and made sure everything was stress-free for us. She was such a great addition to our wedding. I couldn't have imagined a better officiant for everything we wanted. We were very happy with how everything turned out & you can’t go wrong with Tracy. 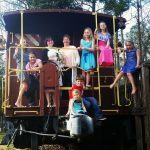 We found Tracy online - she was one of the only people who has a usable website and actually lists their prices on their website (which we really appreciate. no guessing.) My husband's family is Jewish and my family is Christian, but neither of us are very religious. Tracy put together the best ceremony for us - the perfect mixture of everything together. We were very happy with how everything turned out & you can't go wrong with Tracy. Tracy made our wedding unforgettable! Tracy made our wedding unforgettable! It felt so personal. I recommend her to anyone who wants an amazing and touching ceremony. 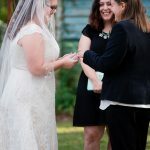 Picking her as our officiant was one of the best decisions I made about our wedding. Thank you for an unforgettable experience and a wonderful wedding ceremony! We absolutely loved working with Tracy! She really took the time to get to know us as a couple and listen to our story and, as a result, she wrote a beautiful custom ceremony that was unique and memorable for our guests. It was also perfectly suited for us and had moments that were touching and moments that were witty. Thank you for an unforgettable experience and a wonderful wedding ceremony! Tracy was a great wedding officiant. She was easy to contact and talk about ideas before we hired her, which made the decision making process very easy. Once we decided to use Savannah Custom Weddings & Elopements, she was available to meet in person so we could talk about our wedding ceremony together. Tracy gave us lots of ideas that helped us figure out the direction of our ceremony. 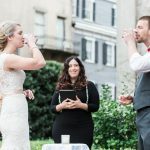 She quickly adapted parts of the ceremony to make it more personal and special while still keeping our values and the type of ceremony that we wanted. I also really love the type of research and creativity that she puts into her ceremonies. She really thinks about the couple that she is going to marry, their values, their personalities and makes it unique and meaningful. She surprised us by finding a poem to include at the end of our ceremony that was very unique to our relationship. This shows me that she really puts a lot of thought and research into all her ceremonies and makes sure they are personalized. Tracy was the perfect officiant for us. The day of the ceremony she was incredibly organized, made me feel at ease, brought up important things to do or say that I probably wouldn't have thought about, and made sure everything went smoothly. 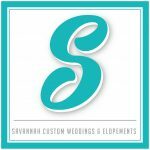 I highly recommend Savannah Custom Weddings & Elopements!! I also recommend using her Vow Writing Guide. We wrote our own vows and her guide helped me to easily write meaningful vows. She is the gem of all Savannah officiants! 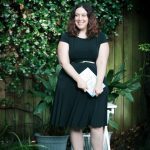 I knew from the moment I first stumbled onto her website that Tracy would be the perfect fit for us. 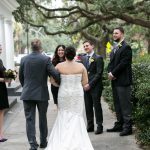 She got to know us and tailored together the most beautiful, moving, customized ceremony for our romantic Tybee wedding. Tracy is a wonderful speaker and while working with her to get our ceremony and vows in order I could tell that this is her passion. She is the gem of all Savannah officiants! There are not enough words in the world to describe how amazing Tracy is. There are not enough words in the world to describe how amazing Tracy is. She made our intimate ceremony better than I could possibly hope for. I loved everything about it. She is very open to questions and concerns and was able to get back to me in no time at all. I will always cherish the dream that she made a reality that is now one of my fondest memories. She had an AMAZING approach to conducting everyone’s attention. Our families couldn't believe Tracy had never met us by the ceremony she wrote for our wedding. 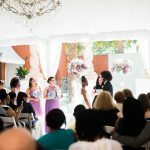 She had an AMAZING approach to conducting everyones attention and keeping our ceremony "unplugged" in such a tastefully respectful way. I am so glad I found her online! I knew that our wedding service was in the hands of a professional who would give us the kind of wedding we wanted. When we were able to book Tracy as our wedding officiant, it was such a huge sigh of relief! I knew that our wedding service was in the hands of a professional who would give us the kind of wedding we wanted. I liked that there were prewritten ceremonies and we got to choose which one we wanted, but we were also able to customize small things. Her website was simple and easy to use; I particularly liked the online invoice and how convenient it was to make payments. I also really appreciated how quickly Tracy responded to emails when I had questions. I couldn’t have asked for a better officiant! Tracy was a pleasure to work with! 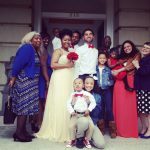 We planned our elopement within 2 weeks and Tracy was responsive, understanding, and professional. She understood our unique-ness as a couple from the beginning, and personalized our ceremony accordingly. She understands that no two weddings are the same and has a variety of package options that can be tweaked to accommodate everyone. 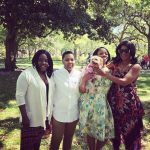 Even though I live in Savannah, all coordination was able to be done through email and the first time I met Tracy was at the ceremony! I had a small number of guests at our elopement, but all of them remarked on how beautiful and perfect our ceremony was. I couldn't have asked for a better officiant! she was warm, and friendly and she was even able to speak in spanish for my relatives visiting from Mexico. Tracy served as the officiant for our vow renewal ceremony. Tracy spoke beautifully, she was warm, and friendly and she was even able deliver ceremony content in Spanish for my relatives visiting from Mexico. I highly recommend her services! I would highly recommend Tracy for anyone looking to get married, be it a quick elopement or a bigger wedding! I truly cannot express my love and joy in Tracy as our officiant! She was truly wonderful from the moment we emailed her asking questions about her packages all the way through to the ceremony. 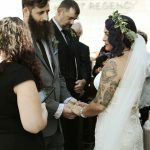 Her flexibility and custom packages allowed us to have our handfasting ceremony added in, but not worry about trying to come up with hymns or readings. We met with Tracy about a month before the wedding and really enjoyed getting to know her. I think it was serendipitous she had a Boston and New York background as well! 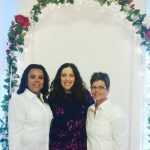 Tracy was so patient with us at the rehearsal as a few things changed with the bridal party, but she was always sweet and professional, answering any and all questions we sent her. I would highly recommend Tracy for anyone looking to get married, be it a quick elopement or a bigger wedding! We felt completely at ease and she made the ceremony so special. 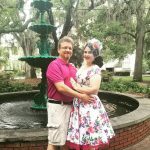 My husband and I renewed our wedding vows for our 10 year anniversary in our favorite vacation spot Savannah Georgia with the most loveliest wedding officiant Tracy Brisson. We felt completely at ease and she made the ceremony so special. We told her our interests and she combined them into our ceremony and made it fun but still romantic. Our vow renewal was so much easier and less stressful than our original wedding and we both highly recommend Tracy!! Tracy was OUTSTANDING! Everything from communication to professionalism was great! Me being overseas I was not sure how everything would work out. Tracy was there to insure that my wife and I would have nothing to worry with. As she said, we had no worries! She made our day perfect and was very patient. Tracy is definitely someone I would recommend and we plan on using her in the future for our bigger ceremony. Thank you for everything Mrs. Tracy Brisson, you're AWESOME! She went out of her way to make the small ceremony very special. 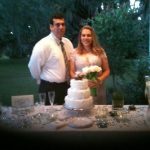 I xcontacted Tracy on a Monday and she was able to accommodate our special request to perform our ceremony on Thursday. She was personable, very knowledgeable, and easy to talk with about our desire for a beach wedding. She monitored the weather and was in constant contact with us. She offered suggestions if the weather was not in our favor. All in all, we could not have been happier with the entire experience. Our guests commented on the ceremony and Tracy. They even took pictures with her and they are considering her for their renewal of their vows. She went out of her way to make the small ceremony very special. I don’t think we knew how excited we could get over something. We can honestly say that we fell completely in love with our ceremony script when I read it. I don't think we knew how excited we could get over something. Tracy creates such a unique and personal experience for everyone (ours was the Dr. Seuss edition) and it truly makes it something special. Tracy is also so easy to talk to and I always felt comfortable asking what I thought were silly questions. Thanks, Tracy! Tracy was fantastic! She prepared a beautiful ceremony for my partner and I that reflected our love and 20 year dedication to one another. 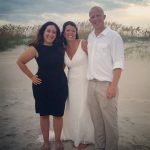 She officiated our wedding on a VERY windy day on Tybee and just rolled with our desire to get married on the beach. After waiting nearly 20 years for the ability to legally marry the person love, I am very happy that we picked Tracy. We loved that Tracy not only had great ideas for us for our intimate ceremony, but she also embraced our ideas and incorporated them into a beautiful, romantic and unforgettable day. Doug and I spoke with several different officiants before we made the decision to have Tracy Brisson marry us. We loved that Tracy not only had great ideas for us for our intimate ceremony, but she also embraced our ideas and incorporated them into a beautiful, romantic and unforgettable day. A tropical storm was predicted to arrive right around our wedding (luckily it didn't). However, Tracy was very flexible and accommodating therefore we had a back up plan, which in turn allowed us to not stress something we had no control over. Thank you for a beautiful day Tracy! Our family really enjoyed your company after the ceremony. You are awesome! Tracy was amazing! She was so professional throughout the whole planning process even though we gave less than 2 weeks notice for our wedding day. 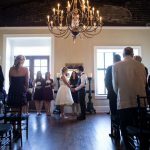 The intro and our vows were both beautiful! She described our relationship and love for one another as if she had known us forever. After the ceremony she stuck around and chatted with us and our guests. We thoroughly enjoyed the ceremony and her company. I highly recommend her. She took the worry out of everything. Her packages are priced very reasonable if you are working on a tight budget and she offers packages for everyone. I am so glad we chose Tracy as our officiant. The vows Tracy prepared were a perfect reflection of our lives, love and hope for the future. Tracy was great and very flexible and open minded. She allowed us to change our original date (on short notice) and didn’t mind traveling over an hour to our small town in SC. She was very accommodating and made our day special. The vows Tracy prepared were a perfect reflection of our lives, love and hope for the future. I would highly recommend her to any of my gay and lesbian friends. You made our getaway elopement beautiful & simply sweet! Tracy, August and I can not thank you enough. The ceremony you wrote for us was beautiful and heartfelt. You made our getaway elopement beautiful and simply sweet. Anyone reading this review- you would be crazy not to use Tracy! Thank you so much for all your hard work, especially translating Spanish poems for our family. The ceremony was beautiful- good job!!! Tracy delivered by putting a unique script together that reflected us truly. My new husband and I aren’t very traditional people and were looking for a flexible officiant that could customize our ceremony according to who we are. Tracy delivered by putting a unique script together that truly reflected us. She was very open minded and her professionalism and guidance helped us orchestrate a memorable event! She was hands-on and explains any & everything you need to know and more. Tracy was great! She remained calm even thought the ceremony was running late. I hired her due to another officiant not being hands-on. The same day I requested Tracy’s services she replied that night and it never took her long to respond. Tracy is hands-on and explains any and everything you need to know and more. I highly recommend her for anyone! She did an amazing job at capturing our personalities! Tracy was wonderful to work with. She sat down with me beforehand and asked questions so that she could really get an idea of who my husband and I are. I feel that she really did an amazing job at capturing our personalities and she was very flexible with us. We feel lucky to have worked with such a wonderful person! Interested in learning more about the wedding packages these clients chose? We have descriptions of all of our packages on our Ceremony Packages page. We look forward to hearing from you!